There are literally thousands of different types of mortgages on the market, and choosing one can be daunting. But before deciding which mortgage to go for, you need to decide what type of mortgage to get – repayment, interest only, fixed, tracker or discounted. Which one is right for you depends on your circumstances. Get the wrong one, and it could cost you thousands. Choosing the right type of mortgage is incredibly important – and getting it wrong can cost you a lot of money. 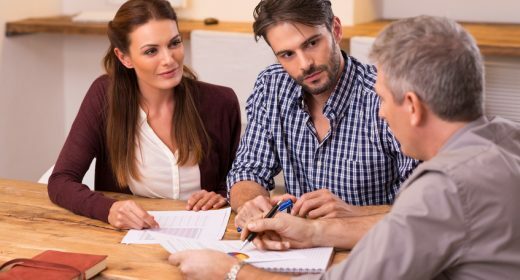 Narrowing down the mortgage type that is best suited to your finances will help you to choose a lender and a mortgage product. Repayment mortgages are when you repay the interest and the equity of the house each month. In contrast, an interest-only mortgage is when you repay the interest and then have to pay-off the equity at the end of the term. For the vast majority of people, a repayment mortgage is the most appropriate choice – they guarantee you are paying off your debt, and ensure you will have repaid the mortgage at the end of its term. Interest-only mortgages were very popular in the past, because the monthly costs were low and it allowed you to defer paying for the house. But they’ve been described as a ‘ticking time bomb’, because it’s believed that a number of homeowners won’t be able to settle this debt and risk losing their homes. Should I go for a fixed rate mortgage? A fixed rate mortgage is when the rate is fixed for a set number of years, after which it reverts to the lender’s standard variable rate. More than 90% of homeowners chose a fixed rate mortgage in 2017, according to the Financial Conduct Authority. Fixed rate mortgages are a popular option, because you know exactly what your monthly repayments will look like over a set period. You are shielded from any increases in interest rates by the Bank of England during your fixed rate period. However – you may pay more for a fixed rate mortgage than you would with a variable rate mortgage and you won’t benefit if interest rates fall – so you could be trapped in a higher rate mortgage. You also limit your ability to remortgage, as fixed rate mortgages almost always come with early redemption fees. If I do opt for a fixed rate, how long should I fix for? If you do decide to go for a fixed rate mortgage to guarantee your mortgage costs, you need to decide the term of it – normally two, three or five years. Going with a five-year fixed mortgage will give you greater certainty, and can be appealing for people in stable but financially stretched circumstances who want to minimise any financial risks. But a lot can happen to your circumstances in five years, and you may end up feeling trapped by a longer term. Also, in five years your income may have increased, making any mortgage increases far more affordable. Similarly, the huge expenses involved in moving house – such as buying furniture and building work – will normally be behind you after two or three years, giving you greater capacity for coping with changes in interest rates. For these reasons, choosing to fix your mortgage for two or three years is recommended. And don’t forget that at the end of the term, you can always remortgage and move on to another fixed deal if you want to. A tracker mortgage goes up and down with the Bank of England’s base rate. For example, you can have a tracker that is base rate plus 2%, meaning the interest you pay will always be 2% above the Bank of England base rate. Tracker rates can be for the entire length of the mortgage, or just for an introductory period (between two and five years) after which the rates revert to the lender’s standard variable rate (which is invariably a lot more expensive). This type of mortgage can sometimes present the best value option. It’s also the most transparent – you know that if the base rate increases by 0.25%, so will your repayments. On the other hand, if the base rate falls, anyone on a tracker mortgage will see their repayments fall too. This is important, because lenders have been accused of not passing on discounts to customers on standard variable mortgages when the base rate has fallen in the past. However, because the base rate can change, a tracker mortgage is still unpredictable. If you’re on a tight budget, you may prefer to choose a fixed rate mortgage instead. Should I choose a standard variable rate mortgage? You should never choose a standard variable rate mortgage. They are the worst value mortgages on the market because they give lenders the total freedom to charge however much they want to. Most people will end up on a standard variable rate mortgage because their existing mortgage deal has run out. Lenders rely on the inertia of homeowners to keep them on this type of mortgage once they have ended up on it. You should consider remortgaging if you’re on a SVR – because there’s a high likelihood that you could save yourself some money. Is a discounted mortgage a good option? A discounted mortgage is offered by lenders that want to attract you to their more expensive SVR by dropping their rates temporarily. The discount will be offered for an introductory period – usually between two and five years – after which you’ll be back on their more pricey mortgage. If you’re struggling with the initially high costs of home ownership in the first few years of buying, a discounted mortgage can help significantly – but you need to consider whether this is the right option or if fixing your rates would be better. It’s also possible to find a discounted tracker mortgage, which can be very competitive. If you choose a discounted mortgage, you need to be careful about what happens when the introductory period ends. It’s important to understand if and when you can remortgage, and anticipate how much your monthly repayments could increase by so that you are clear on what you can afford in the future. Should I consider an offset mortgage? An offset mortgage is when your lender takes into account how much you have in a savings account with them, and knocks that amount off the debt that they charge interest on. For example, if you have £10,000 in savings, and a £100,000 mortgage, you would only pay interest on £90,000. This type of mortgage can help you to reduce the amount of interest you pay on your loan. It also gives you the flexibility to pay off more of the mortgage when you have more money, but then to reduce your payments when you need a bit more to spend. The downside of an offset mortgage is that you won’t earn interest on the savings that you have with the lender. They also tend to have slightly higher interest rates. Many mortgage companies have special deals for first time buyers, which are generally aimed at helping people get on the property ladder. These types of mortgages usually accommodate having lower deposits (ie the ratio of the mortgage to the value of the property can be higher) and have lower application fees. These mortgages are often discounted as well, to make the early years cheaper (but you may pay it back later). In general, first time buyer mortgages can be very helpful at a difficult time – but do still check out the rest of the market in case there are some particularly good deals. A guarantor mortgage is when a relative acts as a guarantor and agrees to make the mortgage repayments if you can’t. You can usually borrow a larger amount than you would be able to on your own. If this is your first mortgage, see our steps to your first mortgage guide and, if your parents may be in a financial position to help you, see The Bank of Mum and Dad – how to help your child buy a home. Should I go for daily calculation or annual calculation of interest? Mortgage lenders generally calculate the amount of interest you are due to pay daily, monthly or annually. It seems like a very detailed point, but understanding this will protect you from unfair lenders that may rely on borrowers’ confusion to make interest calculations that are blatantly unfair and add many thousands of pounds to a cost of a mortgage. Without hesitation you should go for daily calculation, and avoid any mortgage with annual calculation. With annual interest calculation, the lender will calculate the interest rate once for the entire year – and you risk being charged interest on debts you’ve already repaid. For example, if your interest rate is calculated on January 1st, and you pay off £5,000 on January 2nd, you’ll still be charged interest as if that payment never happened. It’s legal, but it is morally questionable and should be avoided at all costs. Should I choose a bank or building society? Building societies are owned by their customers, which means they don’t have to pay regular dividends to shareholders. They claim this means they can give better value for money, and while it may be true, it’s no guarantee that a building society will have the best mortgage for you. How do I find the best mortgage? Ask your current bank(s) and/or building society what their most competitive deal is in case they are able to offer a more competitive deal.